Only 3 easy steps to start selling your CS:GO skins and get Real Money Super Fast! Do you want to sell CS:GO skins and get quick cash? It’s easy! CSGO.CASH is a special service that allows you to sell CS:GO items and get cash quickly. The unique platform, as well as the technical excellence of CSGO.CASH make trades simple and convenient. You don’t need to waste your time and energy getting confused over hard algorithms. Our system is easy and transparent. Even your grandmother can figure it out! CSGO.CASH allows all CS:GO players to instantly trade items for real money (receive payouts in any currency through various payment systems). The whole process of selling CS:GO items takes only five minutes: just 3 simple steps to get your money. Check it out for yourself! With the advent of CSGO.CASH - withdrawal of money from Steam became a reality! No longer do you need to look for traders, or wait for buyers who always knock down the price. 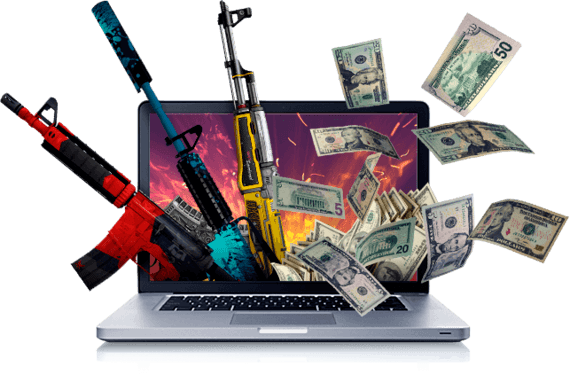 Just insert your trade link and right away you can start selling weapons and receiving payments on the online payment service of your choice (PayPal, Bitcoin, WebMoney, etc.). Still worried that you will not get paid? Currently 120,536 users have already used CSGO.CASH and have not regretted it! We make hundreds of payouts every day. On the Recent Deals page, you can see all latest transactions that were performed through CSGO.CASH. Please note that information on the transaction amount and the payment system is also reflected on this page. We stand for transparency to ensure that you feel completely protected and that your money or items are promptly delivered to you. The CSGO.CASH service is fully automated. We guarantee the smooth operation. Payments made to our customers in 100% of cases. No fake deals! It`s time you check out how easy and profitable it is to sell items and get money from Steam on CSGO.CASH. Sell a few items on the platform -- and collect money right away. Experiencing a delay in receiving funds? Do not worry! You can always contact our 24-hour on-line support! Sometimes it may take 15-20 minutes to receive funds due to processing of some payment systems. We will promptly respond to you and oversee the money transfer. 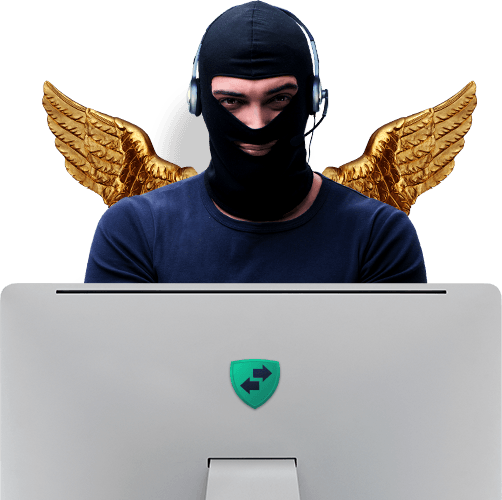 CSGO.CASH is a fully automated platform and therefore we assume all the risks associated with potential system errors. For example, if the CSGO.CASH bot is banned after the user has made a trade, the trade will still be considered valid, and the money will be sent to your account! We guarantee the validity of every operation. Forget the uncertainty and long wait for the funds when you sell CS:GO. 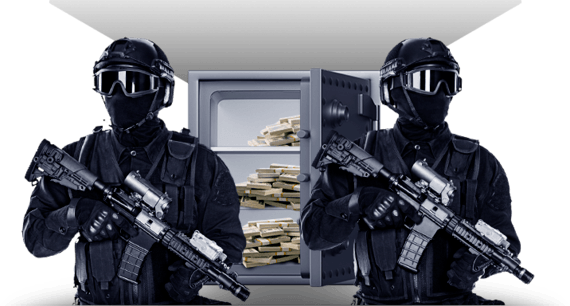 With CSGO.CASH service you can immediately withdraw your money. How is the cost of the skin determined? The price of the skin is adjusted depending on the current prices on Steam Market. Some items are appraised individually. For example, the sale commission of some CS:GO items is no more than 20%. All payouts are zero-fee. * You get instant money sent to any convenient payment system. Prices are updated every 15 minutes, you should watch for changes to sell your CS:GO skins at the highest price. We do our best to ensure our clients’ profit and satisfaction. *Standard PayPal payout fee will be applied to the withdrawal amount. How can you get extra bonuses? Get a cool skin absolutely free! Our technical support team is available around the clock. We are ready to answer any questions and assist you 24/7. it is the quickest and easiest way to make money.